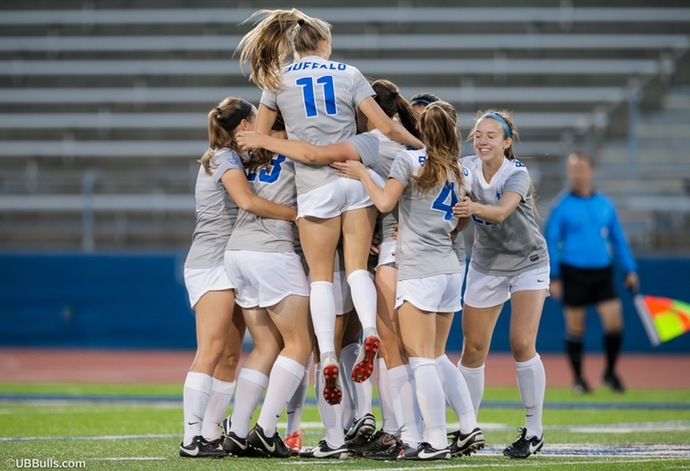 BUFFALO, N.Y. -- The University at Buffalo women's soccer team was recognized by the United Soccer Coaches on Thursday for their academic success during the 2017-18 academic year. The Bulls were one of 484 college women's programs named as a recipient of the Team Academic Award, doing so for the eighth straight season. "The consistency of this award for our program says a lot about the types of student-athletes we have here at UB" said head coach Shawn Burke. "It's another indication of the dedication our players have both on and off the field." 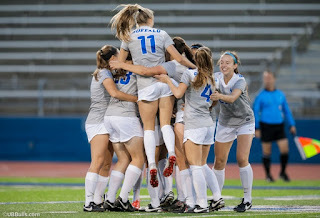 Buffalo was able to earn a team GPA of 3.29 for the 2017-18 academic year including 16 players who earned over a 3.0 GPA. The Bulls were one of six MAC teams honored with the academic award and one of two MAC schools to earn the award eight straight seasons.